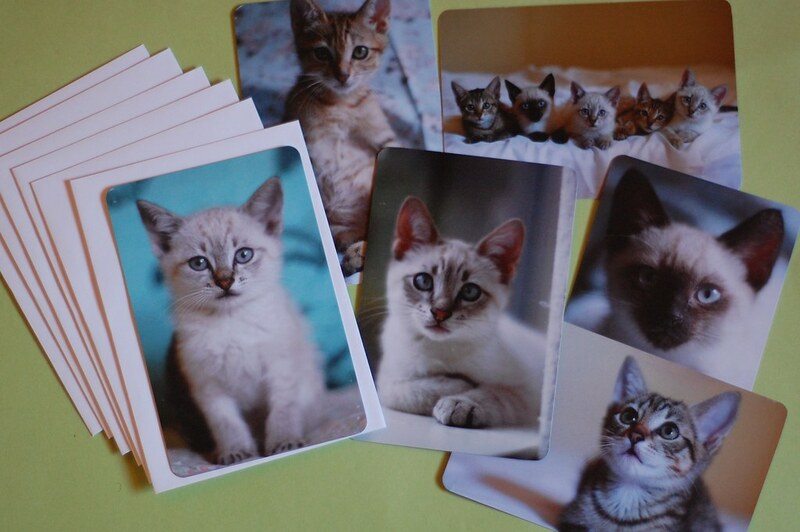 ...And just in time for the Holidays, new kitty cards have arrived! We did two sets of stars from this past summer. One features The Fortunato Five. The other, The Darlings. Both are currently available in the IBKC Etsy shop. I had squirreled away a few packs from the past which are now available in the store too. There aren't too many though, so if you want to pick up a Pickett, Davenport or Butterbean set, please act fast! Once they are gone, they are really, really, gone. I'll be shipping daily, so if you order your set by Noon (Pacific Time), they'll be mailed out that day. 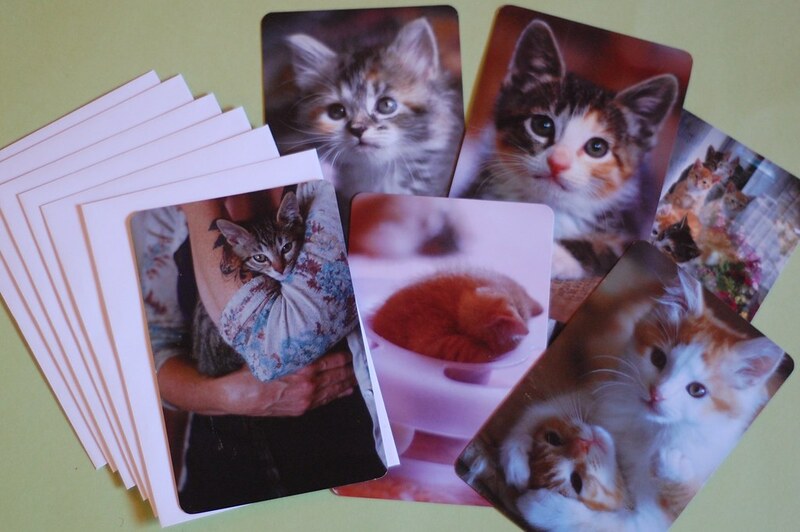 The postcards are 4 x 6 inches with rounded corners and a lovely satin matte finish. Here are a few details of the images included in the card sets. 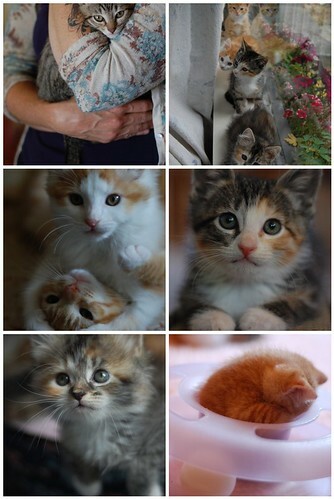 If you would like to pick up set or two for yourself or a kitty-lovin' friend..stop on by HERE. What a bevy of beauties. I'm charmed all over again. Heading to Etsy post haste. Oh dear! My favorite Darling moments all captured on cards! Little Rhoda asleep in the trackball set ... and not-so-little Rhoda in Francine's loving headlock! And that sweet little puffball Selma, of course ... that's almost too much cuteness for me to handle! 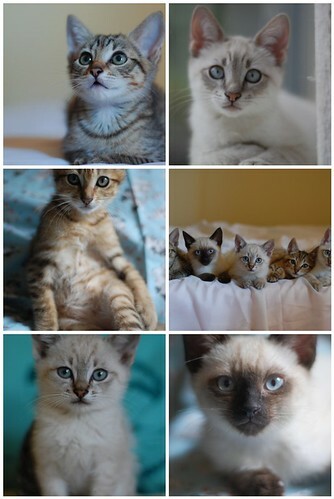 Such beautiful pictures you have taken of all those sweet dear little kitten faces! That is an over-load of cute! It would be great if you made a calendar for next year! Then we could look at these beauties every day. Bottom right corner! Bottom right corner! I love the way kitties curl up into the tiniest little spaces. My favorite Hubie photo! And the priceless snooze-in-the-toy! Darn it, I guess I was snoozing too!